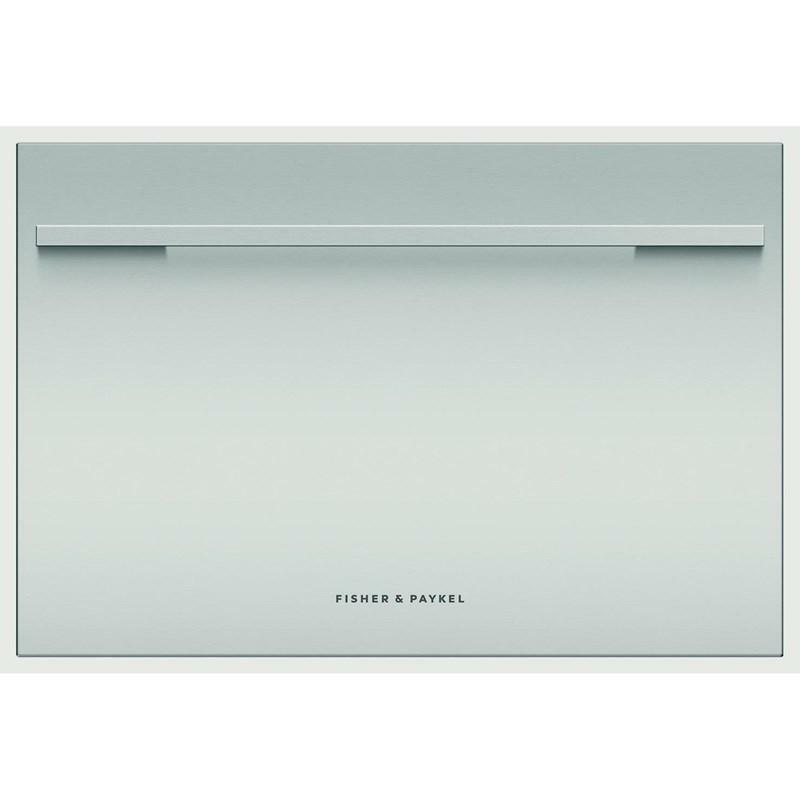 Fisher & Paykel 24-inch custom panel DishDrawer™ features SmartDrive™ wash system, Eco options on all cycles, 6 wash cycles and can accommodate up to 7 place settings. 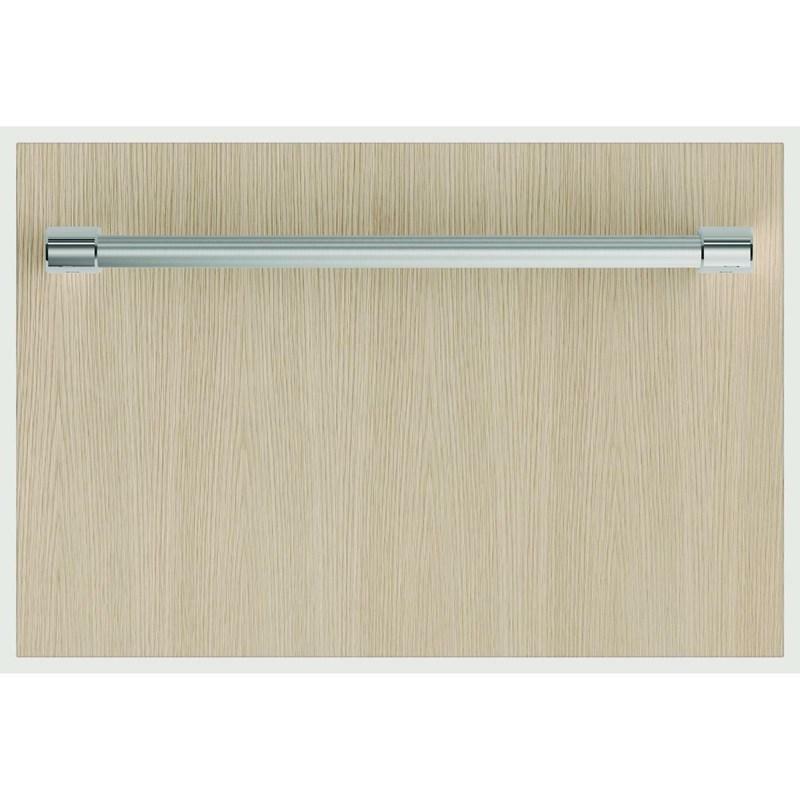 Image shown with panel (Sold separately). 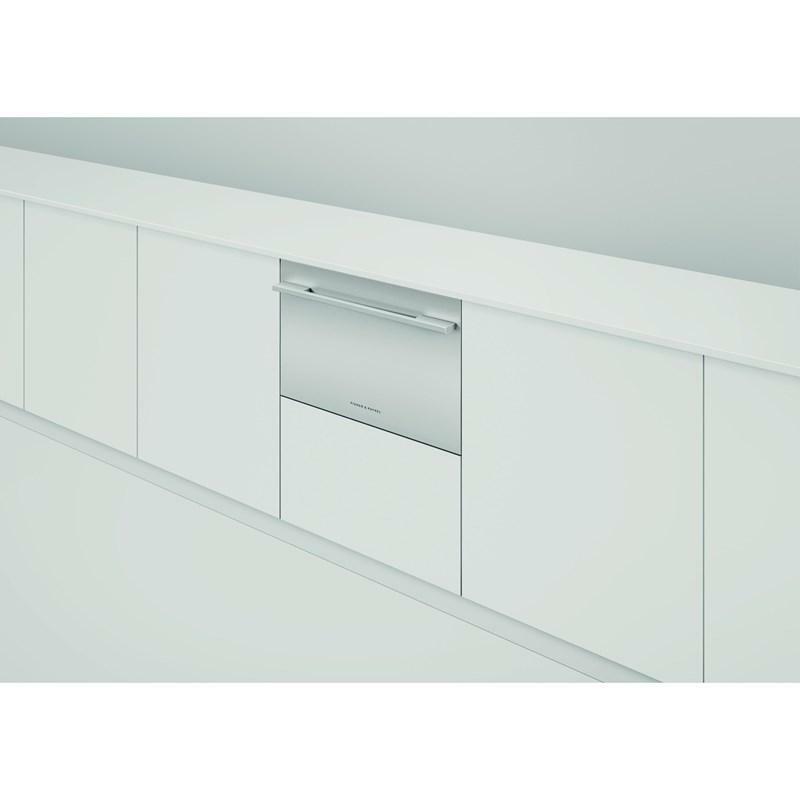 DishDrawer™ dishwasher incorporates unique safety features such as Child Lock which both locks the drawer to prevent opening as well as disabling the buttons. 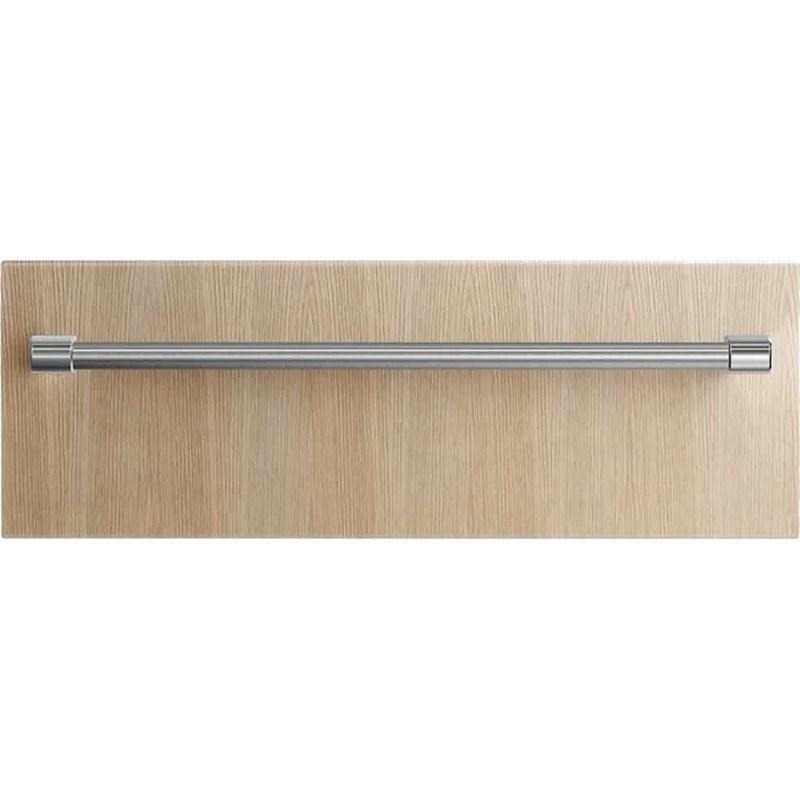 In addition it includes three stage flood protection; the high strength hose withstands water pressure several times greater than normal, overfill detection cuts the water supply if limits are exceeded and the back-up switch activates the drain pump to remove any excess water. 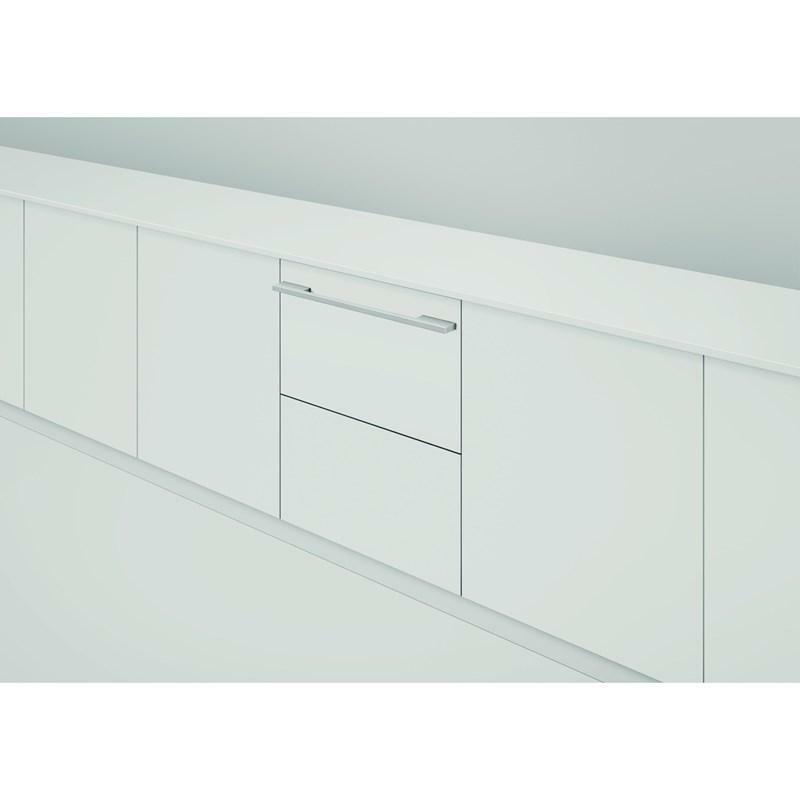 Enhanced venting, a fully adjustable door and a wireless remote on panel-ready models eliminates the need for an external interface allowing seamless integration with cabinetry." The 'Quick' wash modifier delivers a faster wash while maintaining performance.The ‘Sanitise’ option provides extra protection killing 99.9% of bacteria in the final rinse. The ‘Extra Dry’ setting is perfect for plastic dishes. 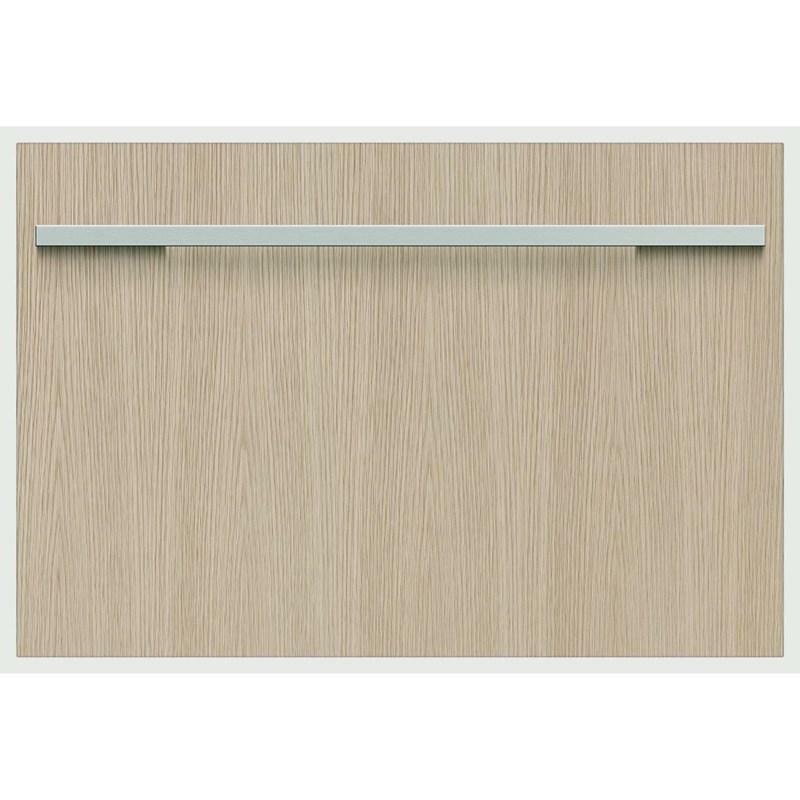 • An independent drawer-based dishwashing platform is part of what makes the DishDrawer™ dishwasher unique. 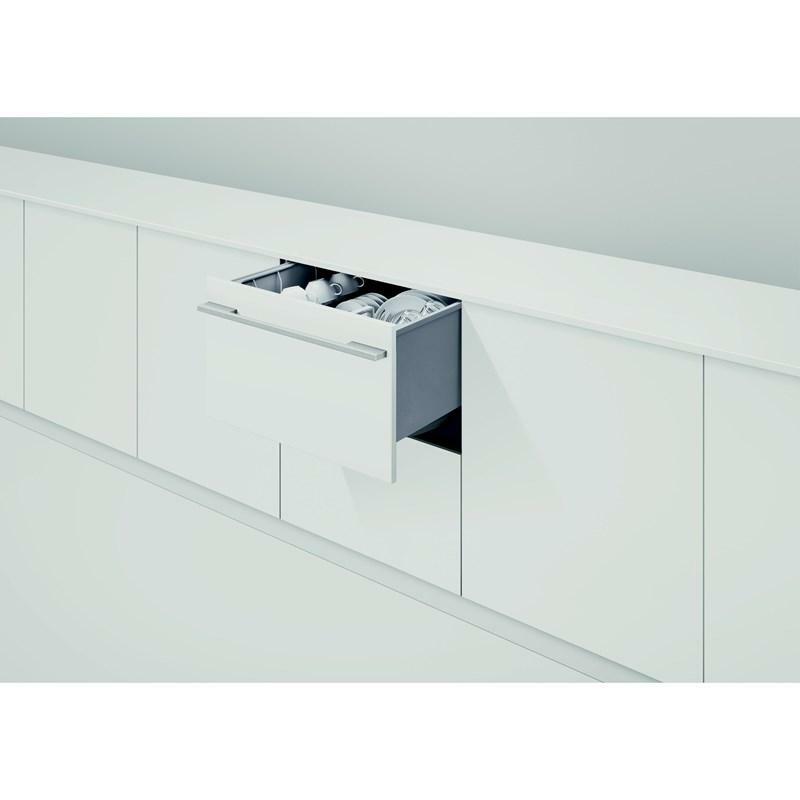 In DishDrawer™ Double dishwashers, both drawers operate independently so different wash cycles can operate simultaneously to accomodate a variety of loads. • The unique brushless DC motor acts as both a wash pump and a drain pump, which means fewer moving parts and greater reliability. The spray arm rotates at different speeds depending on the wash cycle selected, to deliver a superior clean and better dish care. 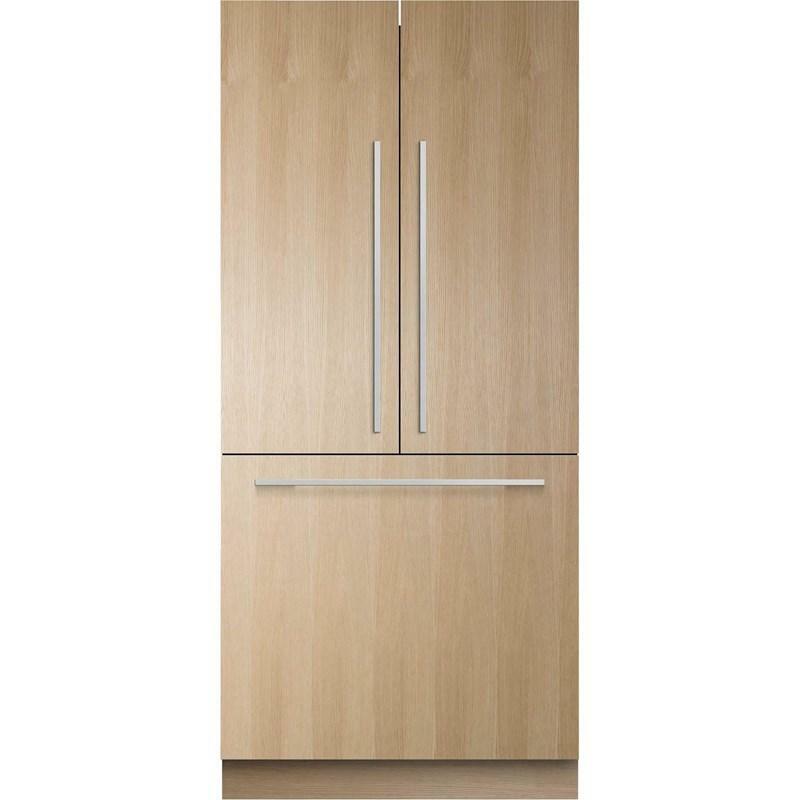 • The range of settings enables the dishwasher to wash everything from fine glass and crystal to heavily soiled pots and pans at the touch of a button.